100% cotton. 120cm x 180cm. Roll out the black carpet and create a striking centrepiece to your bedroom or living room with the Arcadia rug. 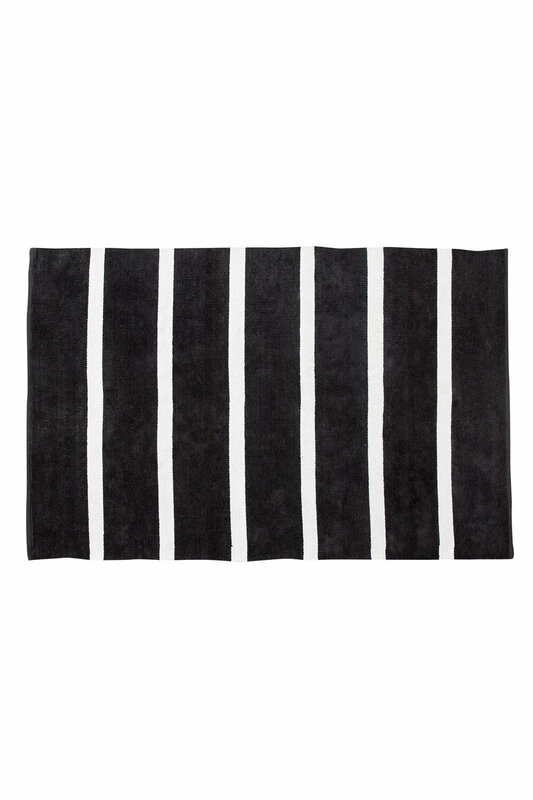 Detailed with a thin white line running vertically through the rug that creates a symmetric pattern. The Arcadia rug is the perfect item to add to your funky modern decor, ideal to protect your carpet while also providing a touch of style to any room. Made of 100% cotton this rug is soft to touch and family friendly. The Aracdia rug is both practical and stylish.